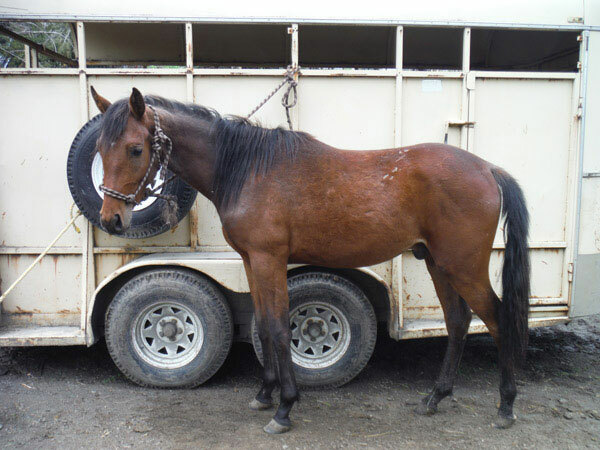 We have many horses who are awaiting a forever loving home! If you are looking for a horse we urge you to fill out our adoption application and submit it to Orphan Acres, Inc. for review. Our Facebook Adoption Page posts current adoption updates. We have horses of all ages, skill levels, breeds and needs! Our adoptable herd is worked by the volunteers and Brent starting with just the basics so that they learn to trust again, sometimes this is the hardest step to let them know they are safe. We use methods based on trust and respect because many of our horses have an unknown background or a bad introduction to humans. We work on the fundamentals no matter what the horses' training past was before coming to Orphan Acres. We only work horses to the level they can physically and mentally handle since we have many horses that have a limit to the work they can be expected to do. If you are interested in adopting a horse let us know what you are looking for and we will let you know if we have one that will fit your need. 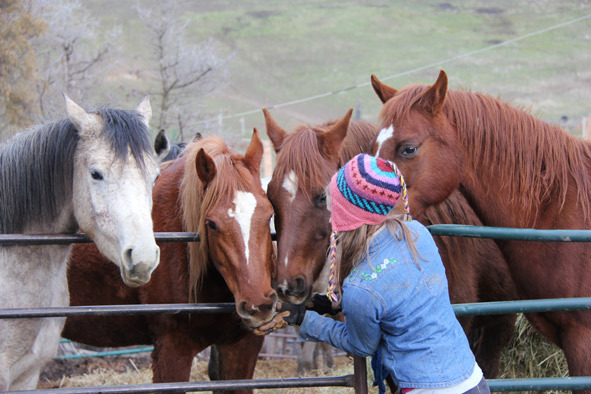 We do require that you come and spend some time with the horse before adopting one. We do not sell stallions. We geld all of the stallions as soon as we can after they arrive as we can not adopt out them as stallions. We do get some that, due to age or health factors do not get gelded and are placed in our stallion barn. 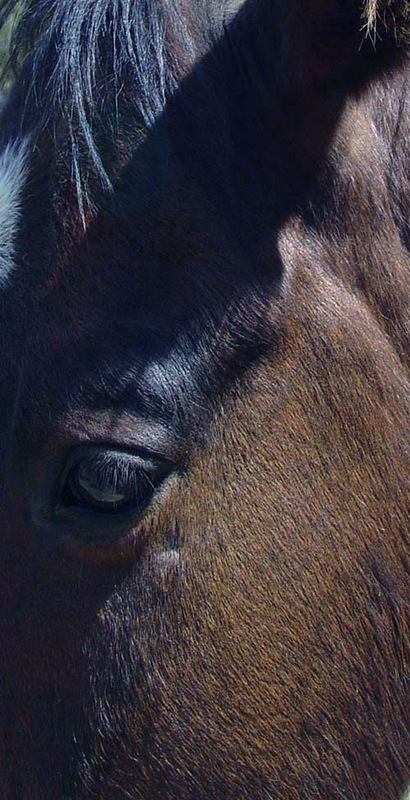 • Orphan Acres, Inc. reserves the right to deny the adoption of any horse to anyone if we feel it is in the horse's best interest to stay here. A home inspection or stable inspection may also be required before adoption. • All horses are evaluated to the best of our ability; however, some horses may develop or have hidden medical and/or behavioral issues. If a horse is not what you were expecting we expect to be contacted immediately and the horse returned. • The title to the horse is issued by the State Brand Inspector for a $38 fee that is paid by the adoptee. If the adopted horse is leaving the state, the adoptee is responsible for paying any and all fees and tests required by the state of entry. Sir Konnan on his big day, going to his forever home! Submit to Orphan Acres, Inc. for review. We are located in Viola, Idaho. Visitors are always welcome but please call before you visit.